Many children plead, “Please mom, dad, I need one. I’ll take good care of it.” Can you guess what this is all about? Yes, that furry bundle of responsibility known as a pet. As parents, our first thoughts might be the dirty messes in our homes, the many extra expenses or the cold, nightly walks with a beloved fur ball in less than ideal weather. However, a pet can be a great friend for your child; it can teach him responsibility and provide him with many other benefits. Having a pet offers your child a best friend, a constant companion and an audience to listen to her imaginative stories. This will boost her confidence while she is learning to read. Some children can be shy about reading out loud. Reading to a pet can provide your child with a reason to practice reading aloud without feeling embarrassed, leading to increased reading skills over time. Caring for a pet also teaches children responsibility by their having to perform simple tasks that are vital to an animal’s health. This includes feeding the pet on a schedule, cleaning up after the pet and providing it with exercise. Reinforcing the importance of responsibility, even at a young age, can help children learn valuable life lessons. 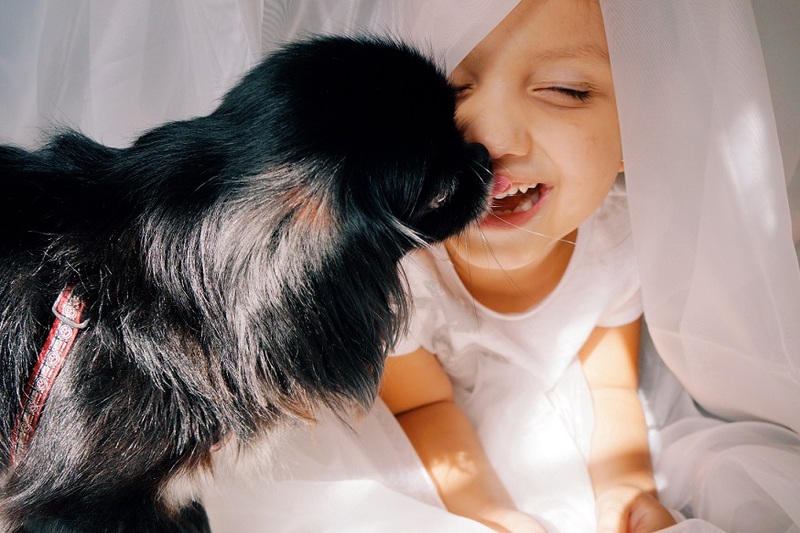 How does your family’s lovable furry friend benefit your child?